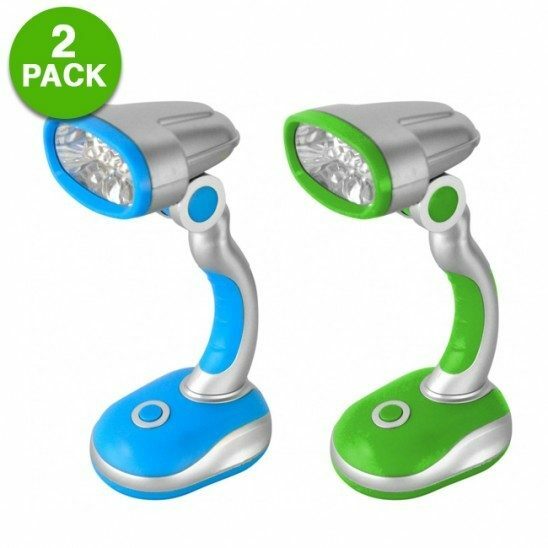 2-pack: i-Zoom 12 LED Utility Light Just $7.99! Down from $39.99! Ships FREE! You are here: Home / Great Deals / 2-pack: i-Zoom 12 LED Utility Light Just $7.99! Down from $39.99! Ships FREE! GearXS has this 2-pack: i-Zoom 12 LED Utility Light for just $7.99 (Reg. $39.99)! Plus shipping is FREE! The 12 LED Multi-Purpose Utility Light is an adjustable light that gives you the brightness of long-lasting LEDs where you need it most. This 2-pack gives you twice the bright, dependable light you’ll need for both indoor and outdoor activities. With the ability to pivot 135 degrees you can aim the light exactly where you want it. Each light uses 3 AA batteries (not included) or the included 4ft. USB cable. So you can power up anywhere. The lightweight and durable design is perfect for home, office, garage, emergencies, and more. Order today.